69th Festival de Cannes Awards. The Jury of the 69th Festival de Cannes, presided by George Miller, has revealed the names of the 2016 prize-winners during the Awards Ceremony. 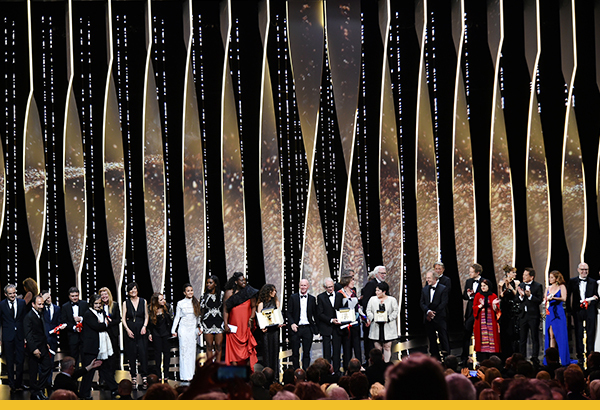 Laurent Lafitte welcomed the prize-givers and winners onto the stage of the Grand Théâtre Lumière, to the sound of music playing. The American actor, Mel Gibson, had the honour of awarding the Palme d’or to the best of the 21 films in Competition. The French actor, Jean-Pierre Léaud, received an honorary Palme d’or for his collected works from Arnaud Desplechin. I, DANIEL BLAKE by Ken Loach, Palme d’or, was screened at the end of the Awards Ceremony to close this 2016 edition of the Festival. SEONG-HIE RYU, for the artistic direction, with great inspiration, for the film MADEMOISELLE (The Handmaiden/Agassi) by PARK Chan-Wook.